Across the world, there is an explosive consumer interest in exotic spirits. While an ounce pour may not seem like much, the intense flavour and the enduring finish of this fine artisan spirit ensures that your Feni will be savoured for long after your "copito" is empty. Cazulo sips perfectly neat or over ice, and mixes beautifully in classic cocktails or with juices. But we at Dona Maria, Goa always say - Cazulo Premium Cashew Feni is best enjoyed in the company of lively conversation! Try the cocktails we suggest ... Saúde ! 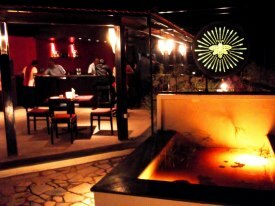 "With diners and drinkers looking increasingly toward well-crafted, classic cocktails, Feni is poised to make an entry. A Feni cocktail made with tradition, yet with wit and character is the ideal usher." 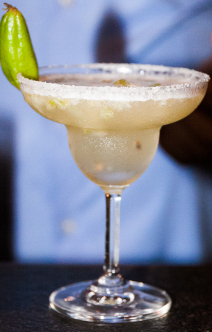 Squeeze and drop the lime wedges into a Tom Collins glass. Add Cazulo Premium Feni, fill with cubed ice and stir it. Squeeze and drop the passion fruit into a rock glass. Add the sugar and muddle slightly. Add Cazulo Premium Fen, fill with cubed ice and stir it.